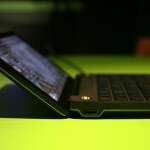 What's new from Razer at CES 2011? This is probably the future of mobile gaming. Although a MEGA SUPER DUPER performing computer isn’t wrong, mobility always wins, sometimes, for some people.. 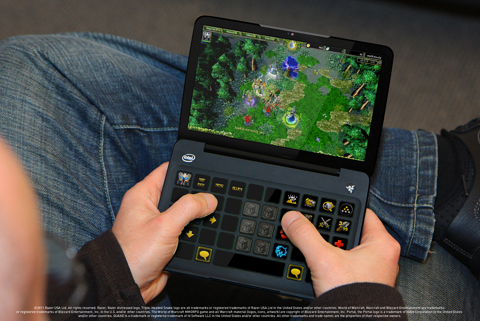 It has both the mobility of a touchscreen and the performance of a keyboard + mouse. It has a high resolution 7-inch screen with lightsensor. Also the keyboard is optimus style, with oled screen + buttons that can change apearance from qwerty to shortcut keys optimised for every game. It features an Intel processor and also a pretty good amount of battery time. You might be thinking, how does this tiny thing run call of duty on full resolution? well it probably dosen’t, but i think razer is going to implement on-live style gaming streaming. Maybe through steam? 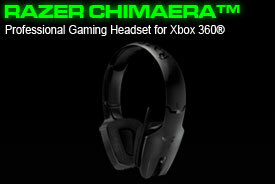 More from razer is this headset for xbox 360 wich goes great with the razer onza. 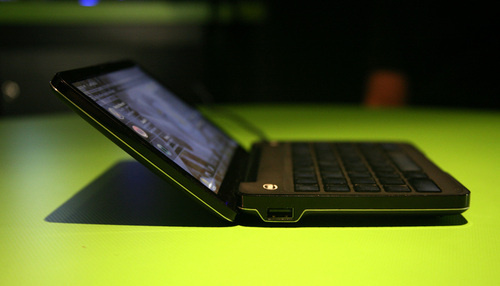 It’s called razer chimera, and looks pretty freaking awesome. Prise ranges from 129$ to 199$ and it has 7.1 surround complete with an equalizer, audio out jacks (on the station) and a flip-down microphone.